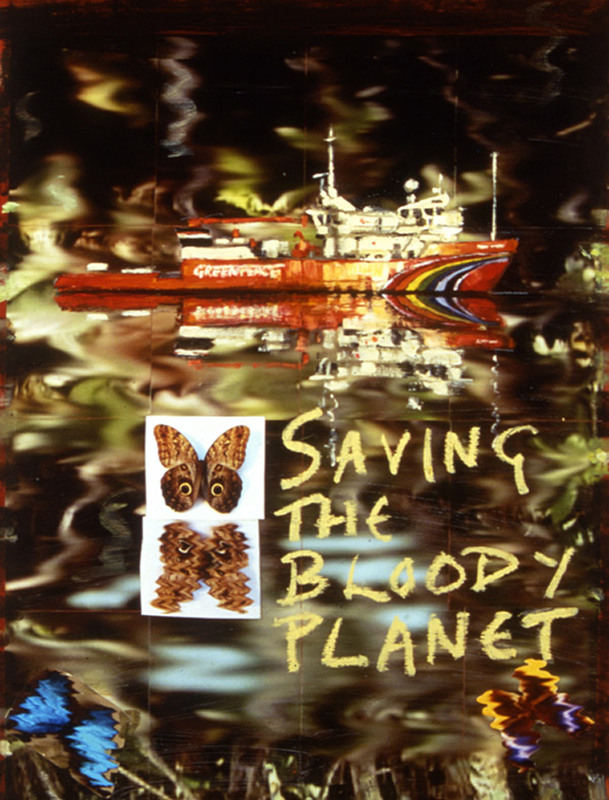 one of their ships travelling downstream from Santarem to Belem, observing the activists’ campaign and the rainforest environment itself. 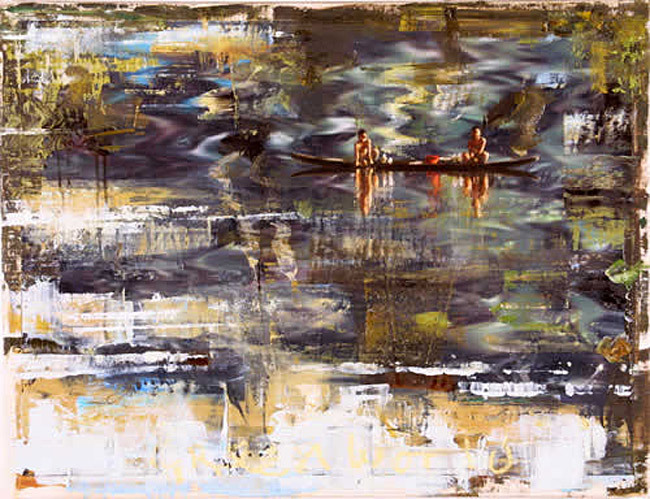 This presented me with my first opportunity to use digital technology as a means of photographing, storing and manipulating images for use in paintings. 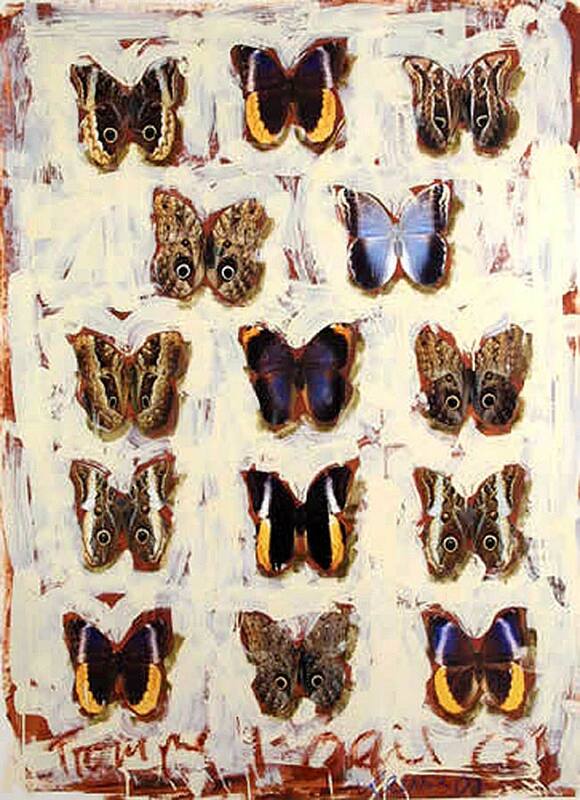 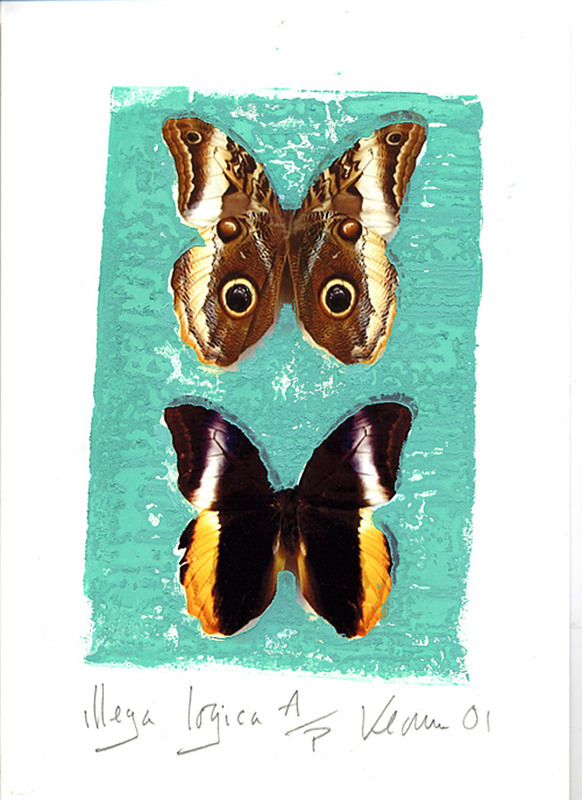 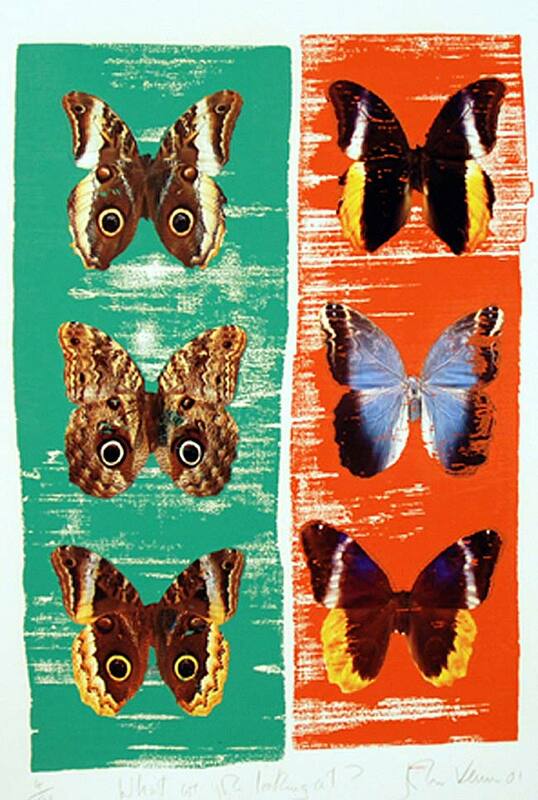 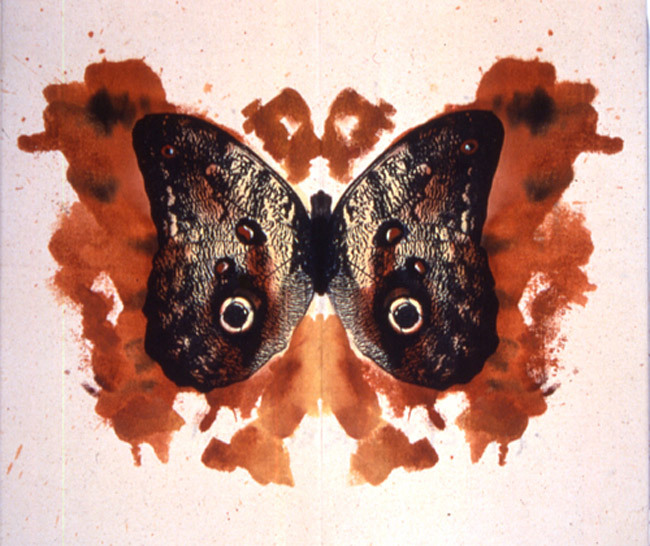 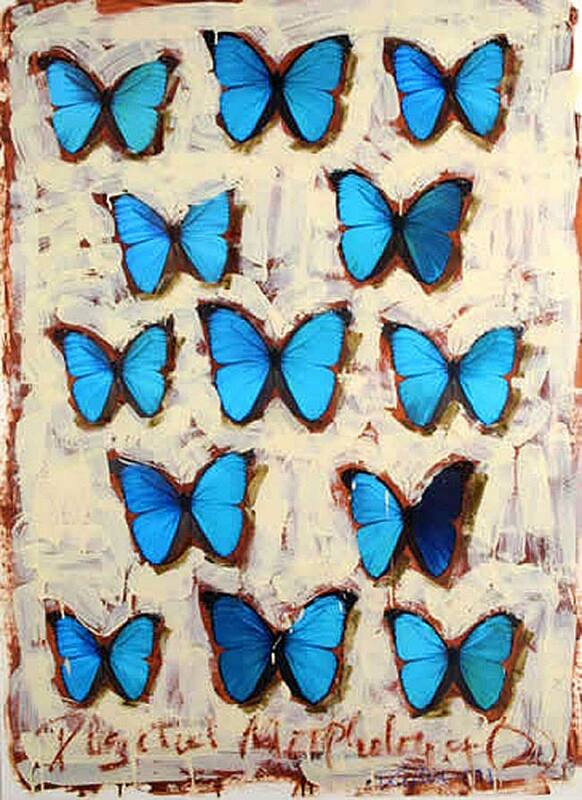 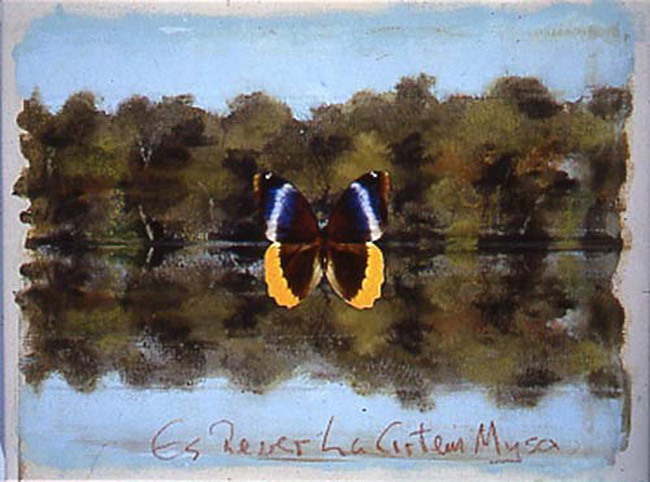 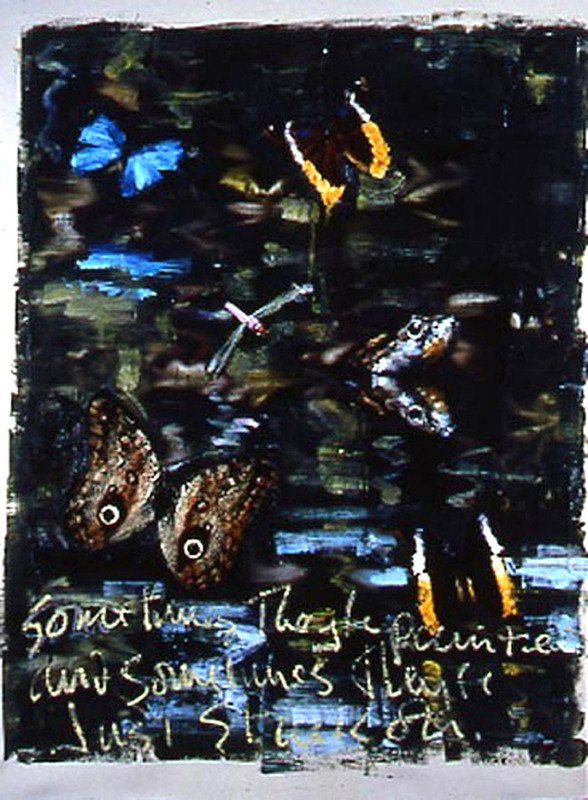 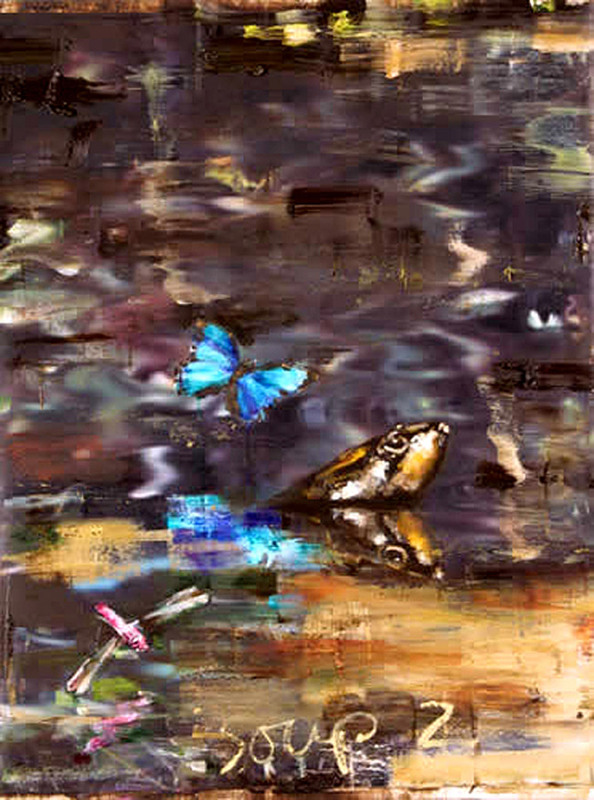 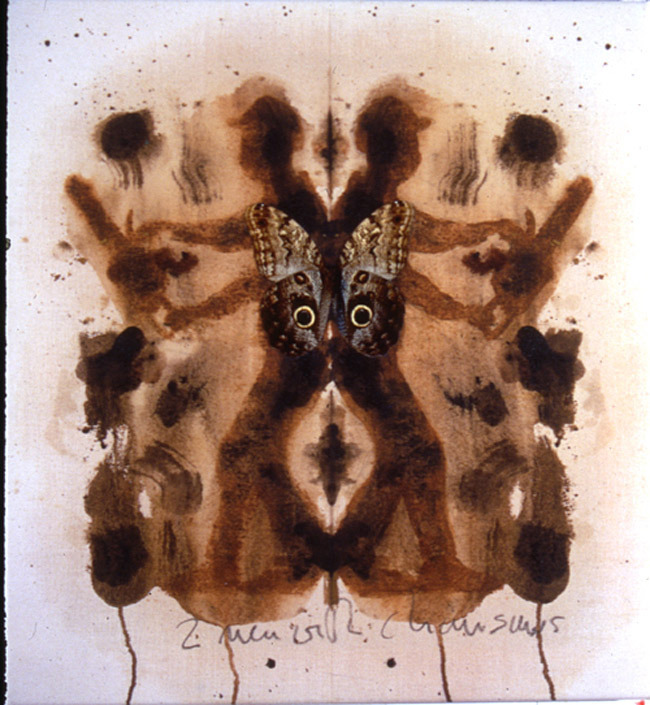 In some of these paintings I explored and compared the symmetries presented both in the extraordinary vistas of forest reflected in water and that of the pattern on the wings of a particular tropical butterfly, the ‘caligo’, or Owl butterfly, which possesses eye spots with a remarkable degree of verisimilitude. 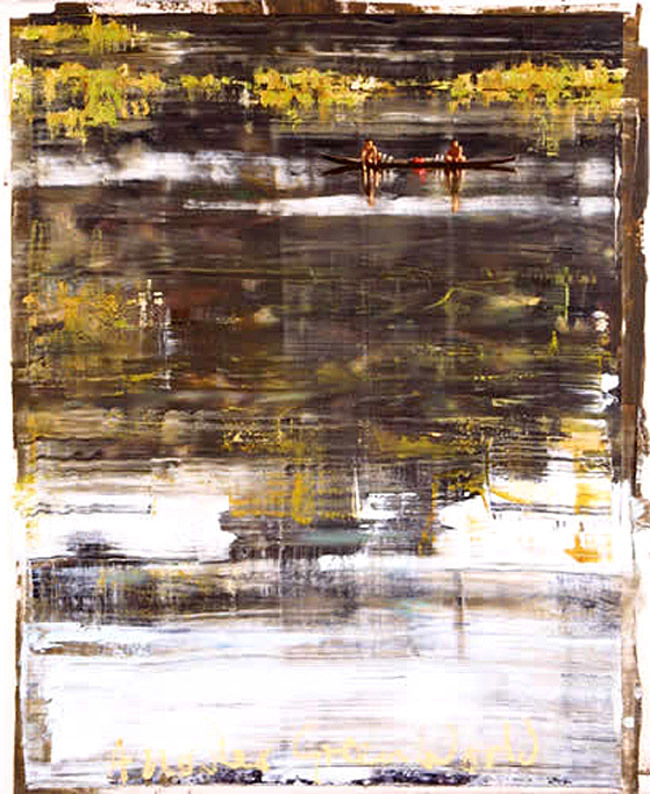 I experimented with images of the river bank painted onto a large canvas which was then folded, as in an ink blot, or Rorschach test. 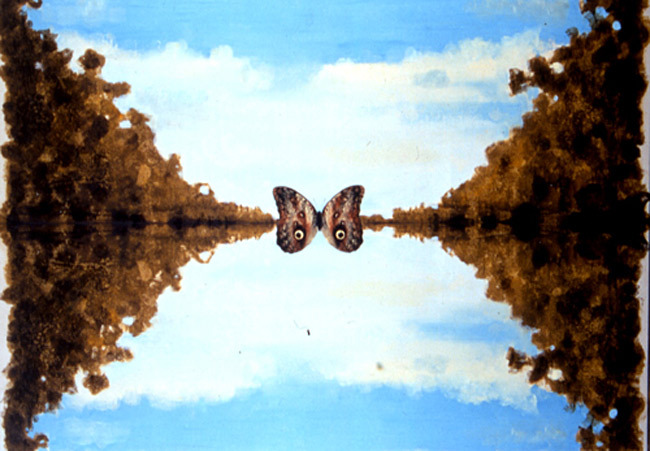 The immediate visual perception of a forest reflected in water seemed comparable to me with the interpretation of dots on a butterfly’s wings as eyes, and I examined this phenomenon using both ink jet printing and oil painting on canvas. 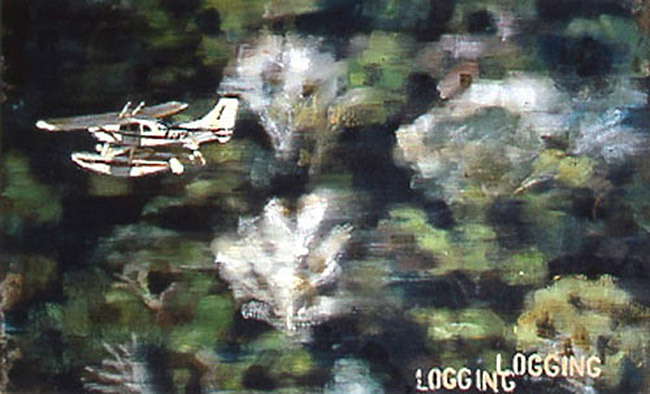 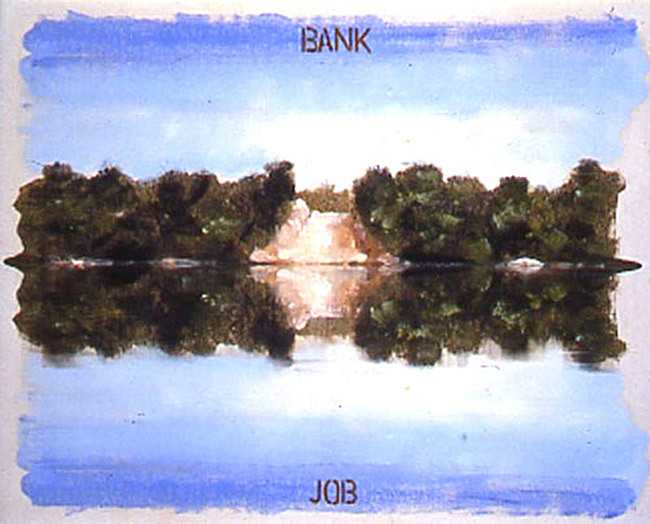 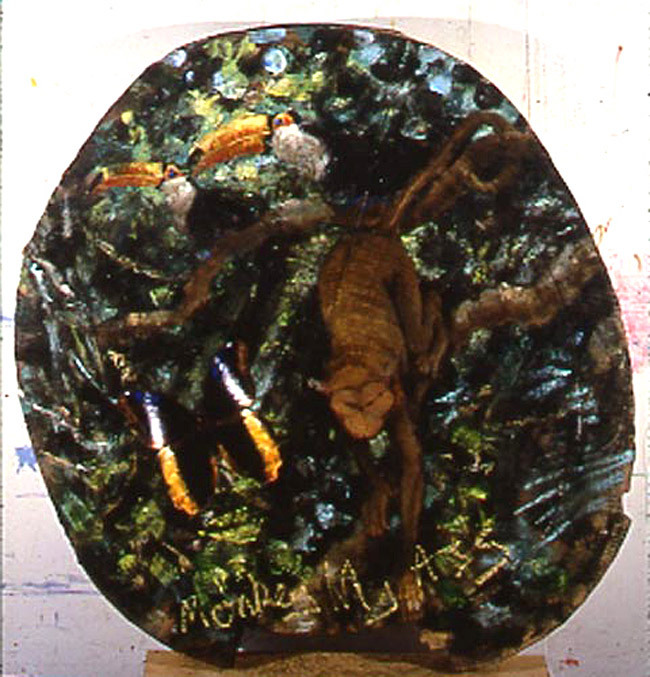 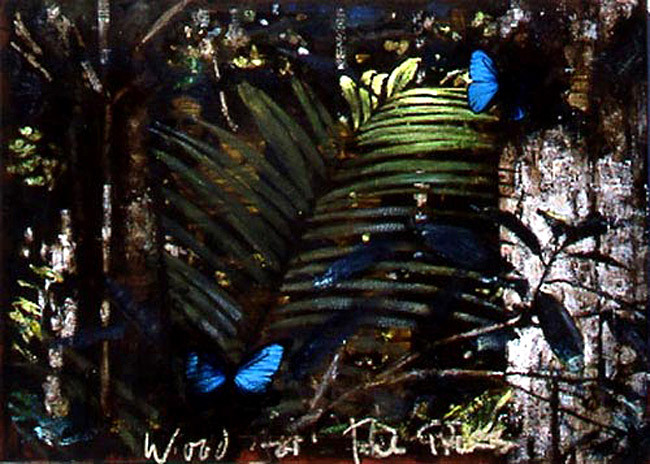 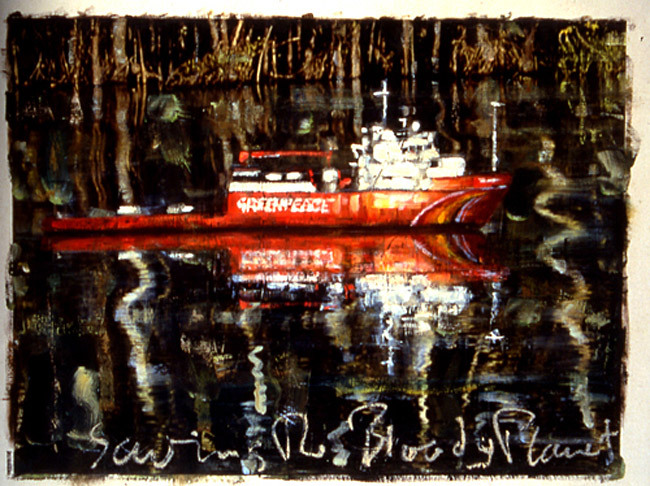 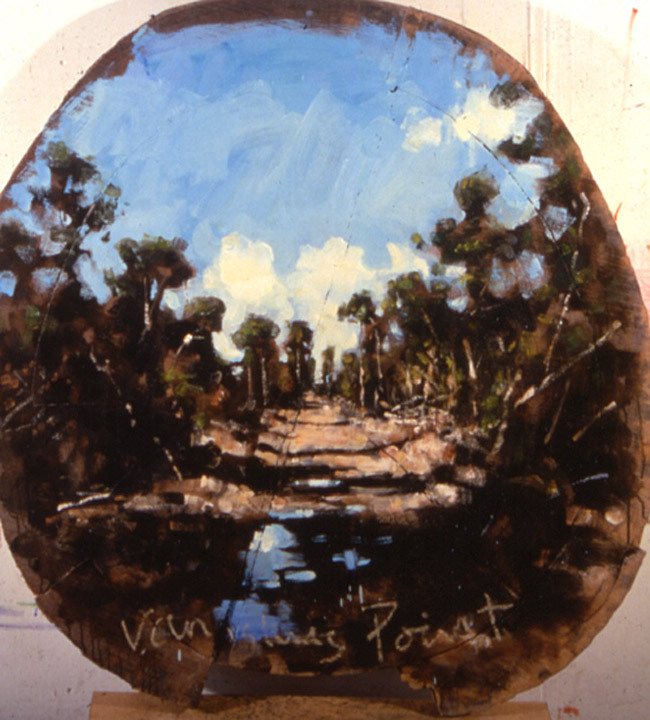 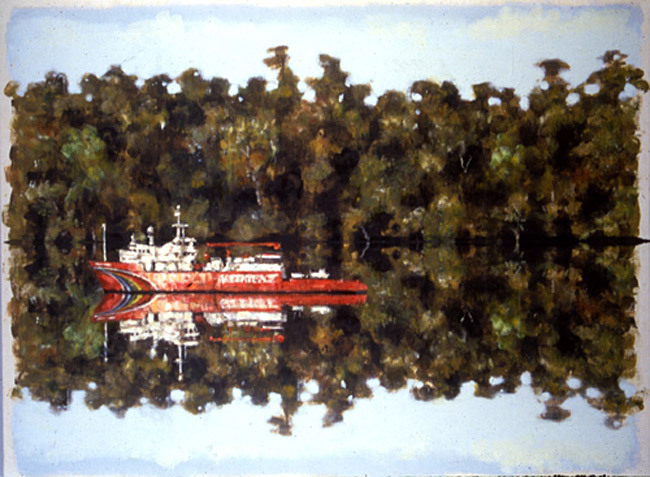 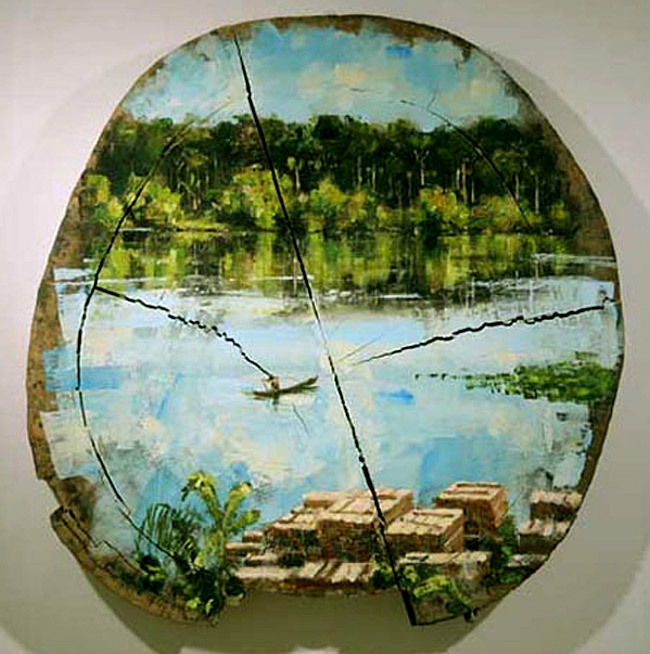 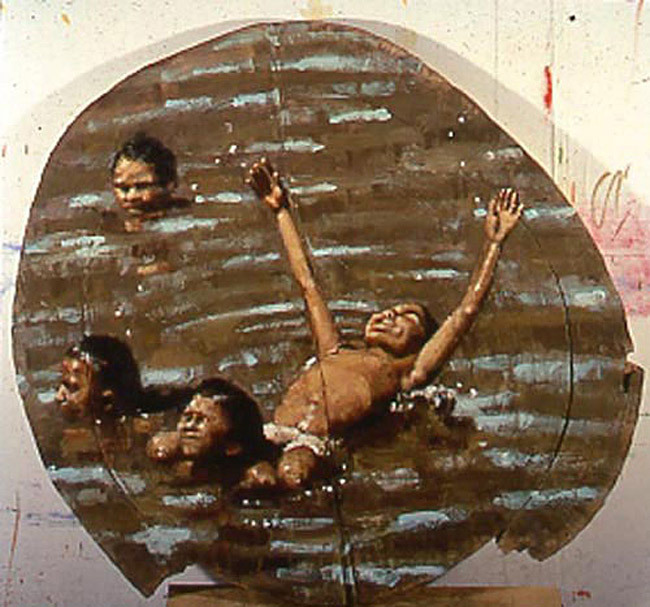 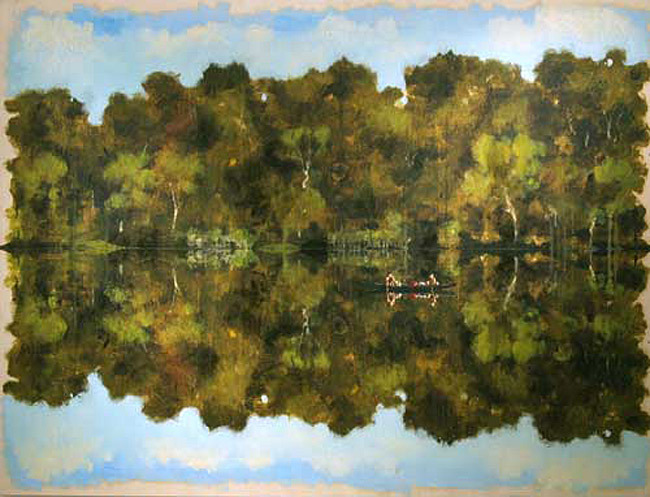 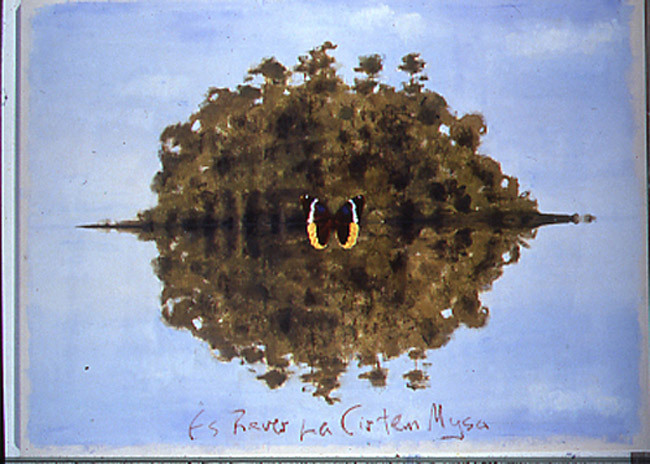 Several paintings of the 'Souvenir’ series also dealt with human and animal life in the Amazon environment, but were painted on sections of rain forest timber salvaged from an illegal consignment intercepted by Greenpeace.